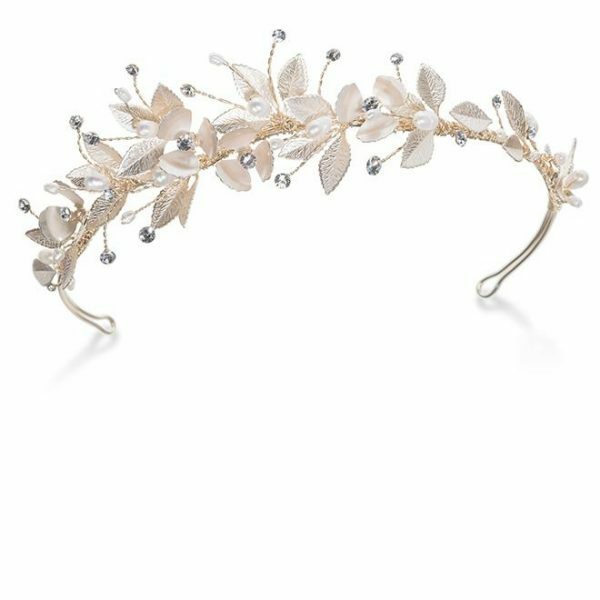 Ivory and Co Azaela headband. 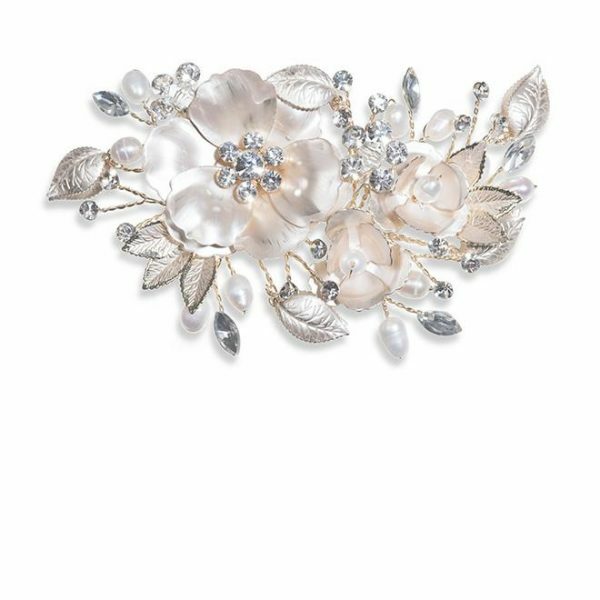 A pretty, fabric flower headband with a distinct romantic feel…an ivory fabric rosette surrounded by crystal embedded swirls and pearl detailing. 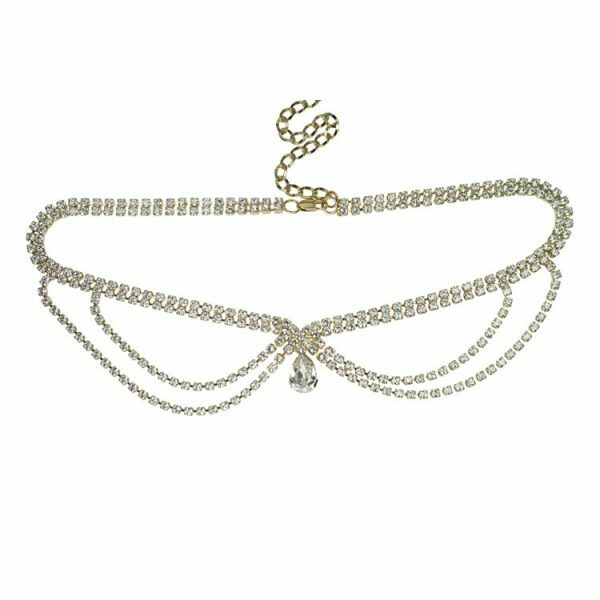 Side Detail: length 12.5cm x Width 5cm approx. 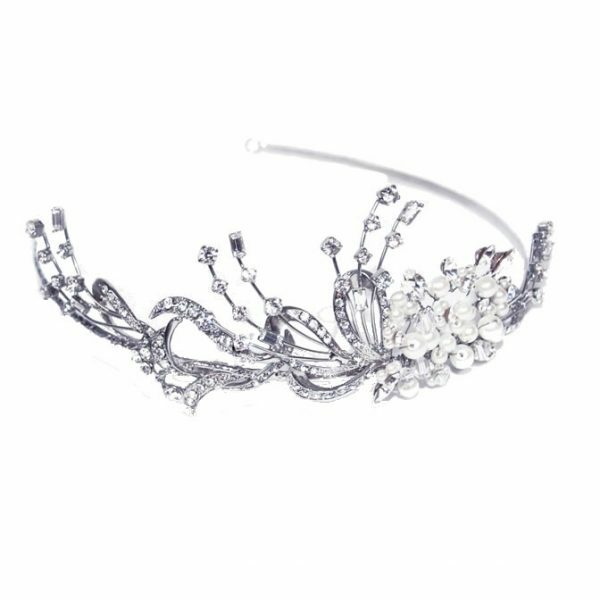 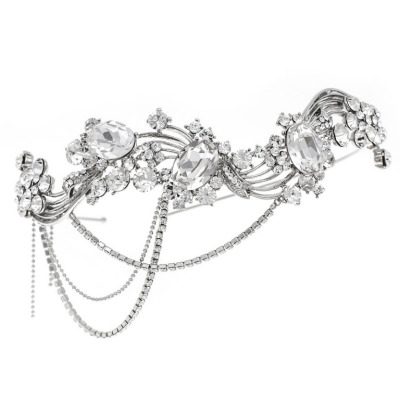 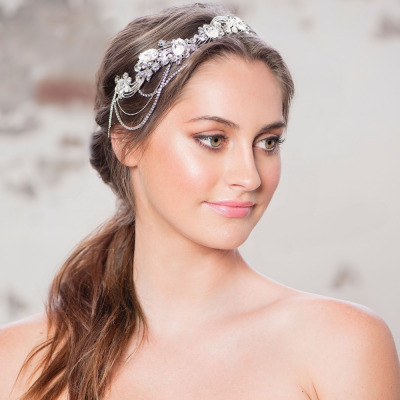 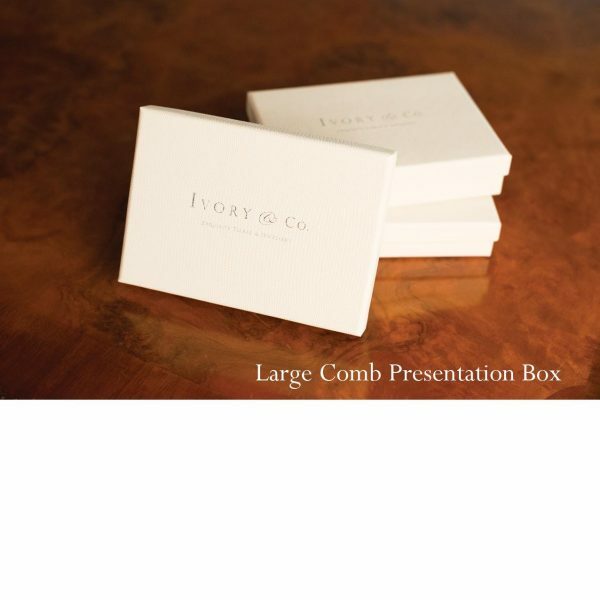 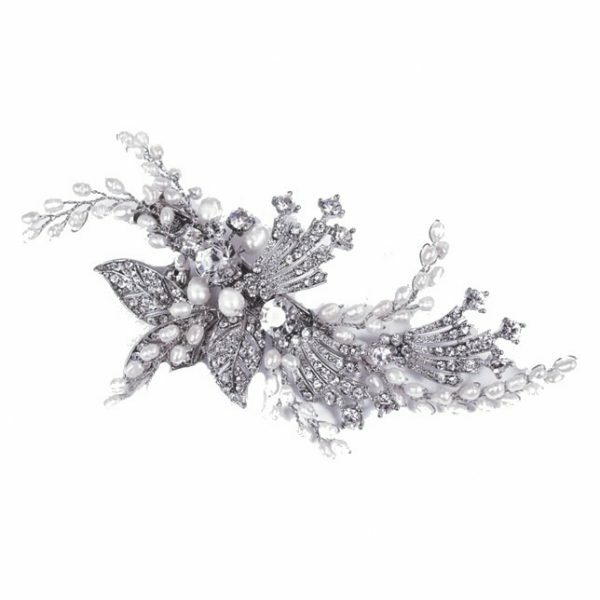 A unique headpiece by award-winning accessory designers Ivory and Co. 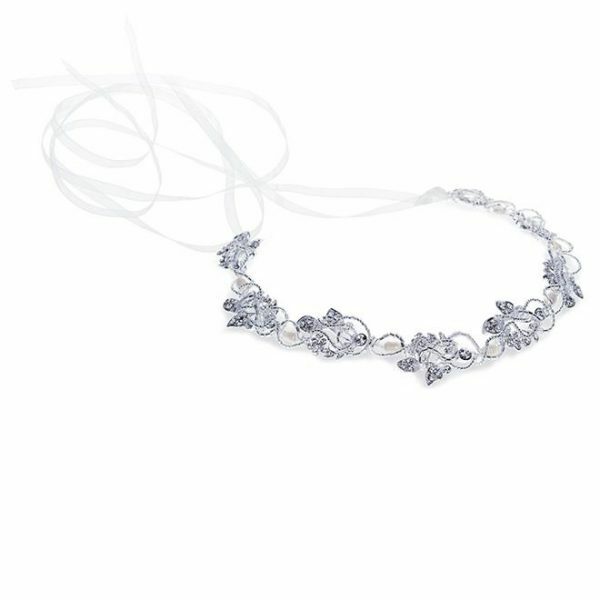 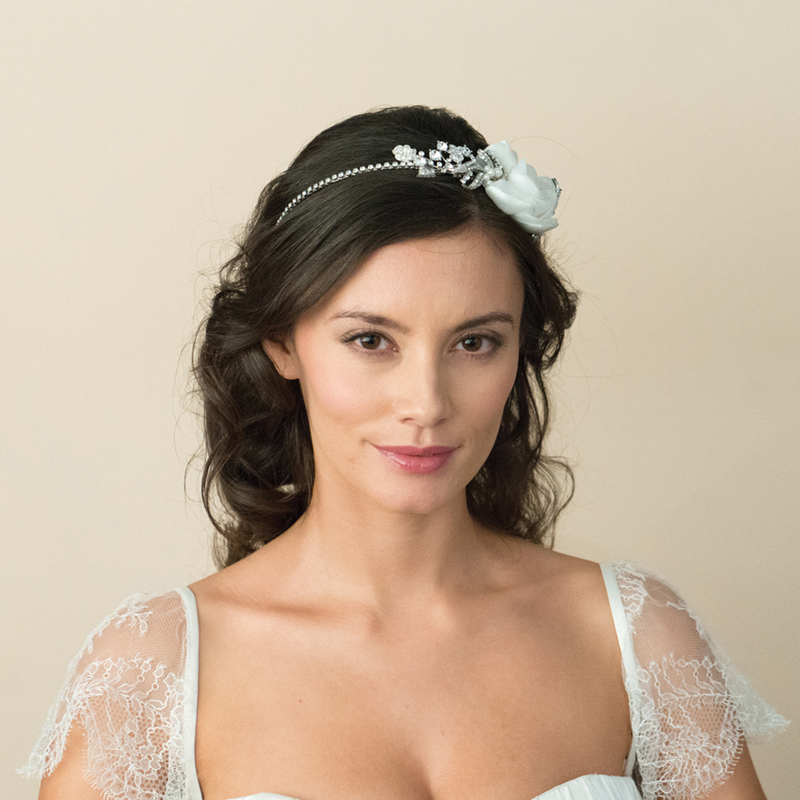 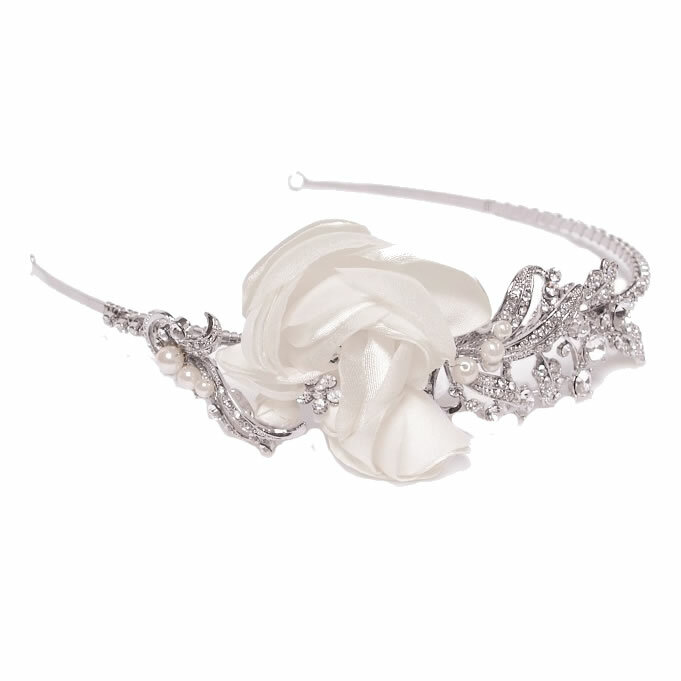 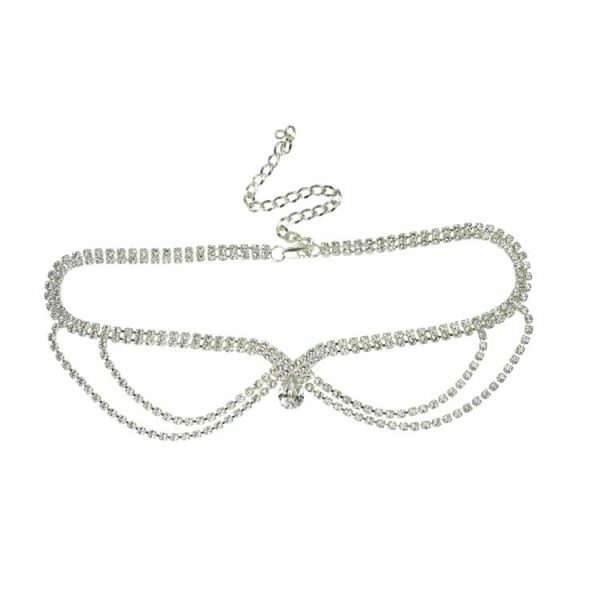 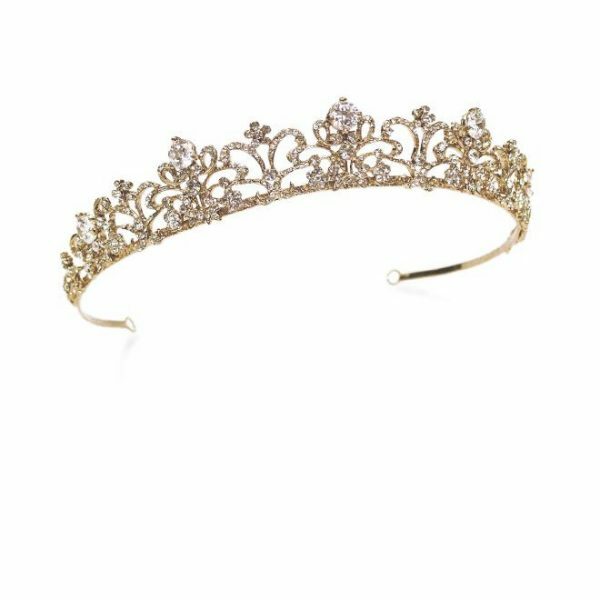 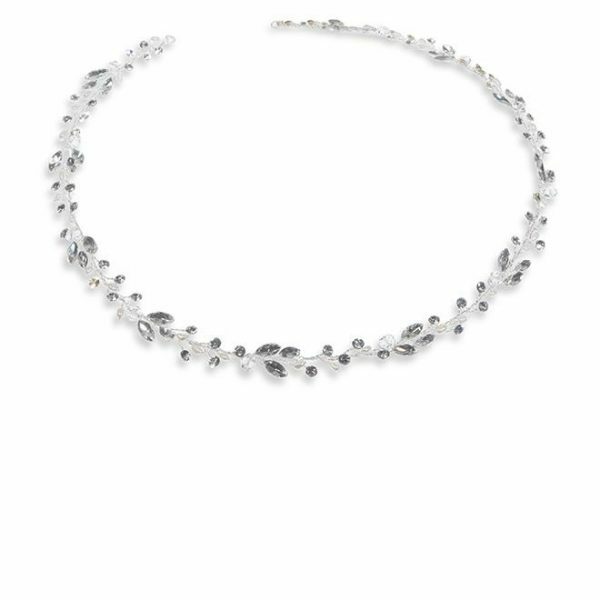 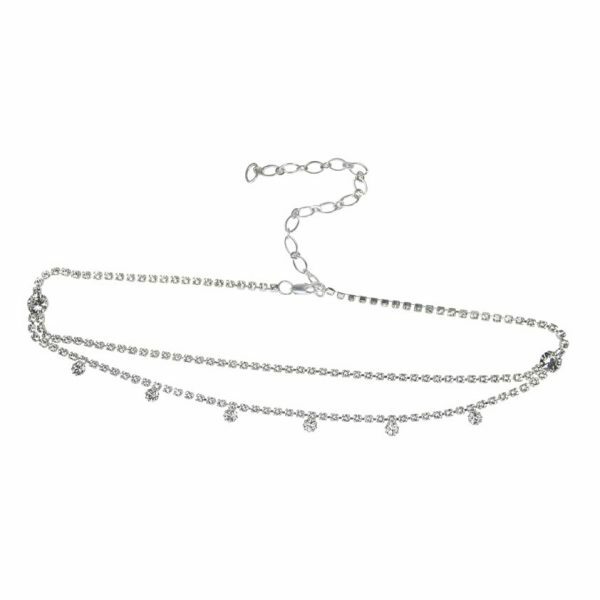 This headband is ideal to create a soft, feminine look and add a touch of boho inspiration to any bridal gown!